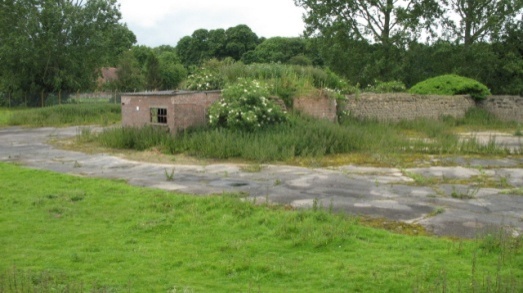 Former RAF Coltishall (1939 to 2006) is owned by Norfolk County Council (since 2012). It holds a very special place in the hearts of all those who served and worked there and the people of Norfolk, and the name resonates with pride in RAF history. During the Second World War it was the home of more than 80 squadrons, including Polish and Czech units. Douglas Bader was stationed there. 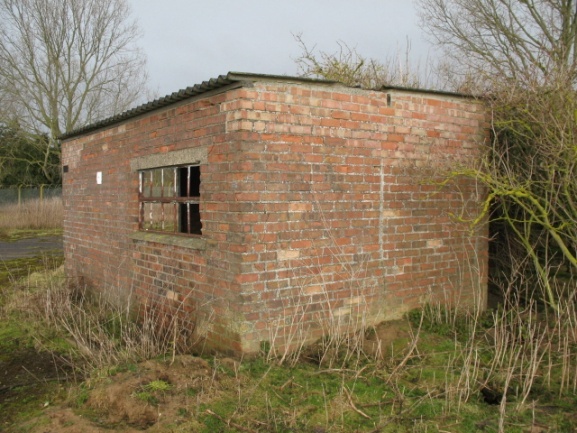 The site includes a remarkable survival from the Second World War; a near-complete fighter pen to protect two single-engine fighters - Spitfires or Hurricanes - including a unique small brick tractor shed. 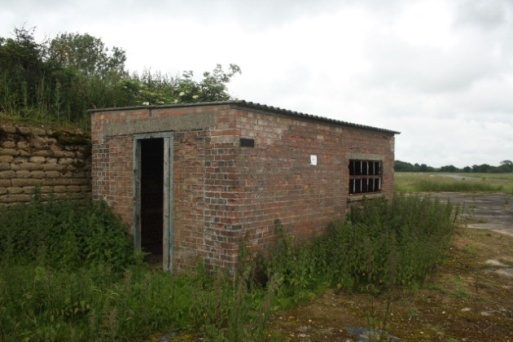 The pen and shed were subsequently used as an area for salvaged equipment and airfield lighting. The pen and shed are part of a Scheduled Monument and within a Conservation Area At Risk, having suffered many years of neglect. Click here to see an animation of the scene in 1940. The fighter pen was one of the main attractions on our Heritage Open Days in 2014. 318 people went on tours, and 53% completed evaluation forms. 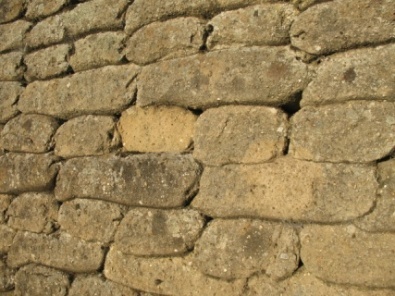 People scored the tours 9/10 for quality and 9/10 for the site’s heritage. 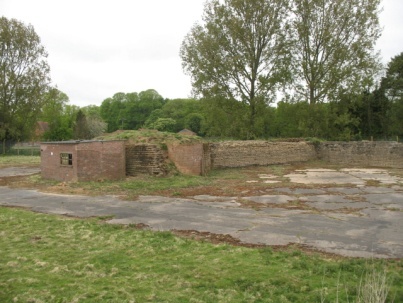 In 2013 the Norfolk Monuments Management Project organised vegetation management works on and around the World War Two fighter pen, including ivy, scrub and nettle control. A condition, concrete and laser scanning survey are currently being prepared by specialists in concrete structures and it is hoped this will inform future management of the site (and possibly repairs). With funding from the Armed Forces Community Covenant we will restore the shed. We will involve current and former Armed Forces personnel and civilians in our project to repair the shed, retaining as much original fabric as possible and on a like-for-like basis. We will make this into an airfield interpretation point in which to tell the story of the pen and the airfield. We will organise site tours, delivered by the Spirit of Coltishall Association, to local residents, former service personnel and civilians, special interest groups and schools. We will put “RAF Coltishall in the Second World War” resources on this website. The site is currently within a secure managed environment, Scottow Enterprise Park, and is open to public access through arrangement with Norfolk County Council, guided visits and heritage tours. Eventually the site will be accessible to everyone. Our aims are to bring together armed forces personnel and the local community to make the site’s important wartime heritage more accessible; physically and intellectually, and to recognise and help people to remember all those who served at the site during the Second World War and gave their lives, including armed services and civilians. The project will involve volunteers from the local community, former armed services personnel and civilians who worked at RAF Coltishall, the Spirit of Coltishall Association and armed services personnel from RAF Marham, working with Norfolk County Council’s Historic Environment Service to design and deliver the project. • Benefits for Local Civilian Communities – we will engage former RAF personnel and civilians living in Badersfield in the airfield’s heritage. • Benefits for Armed Forces Communities – we will engage and involve RAF Marham and encourage people to visit Marham’s Aviation Heritage Centre and the Radar Museum at RAF Neatishead. • Education, skills and employment – by encouraging people and volunteers to be involved, from work on the building to web resources, we will help people to develop new interests and skills. • Health and welfare – through Second World War themed walking and cycling tours around the site we will get people involved activities to promote health and well-being. • We aim to deliver tours to at least 250 people in 2015-16. • We will bring the site to life with computer-generated graphics with scenes showing the pen as it would have looked during the Battle of Britain. • The site is also returning to life as a centre for employment, and the heritage of the site is an added attraction for businesses and their employees. Our project will increase the potential for investment and encourage more enjoyment of the heritage. Our application is submitted in partnership with The Spirit of Coltishall Association, which sets out to perpetuate the memory of RAF Coltishall and its “Spirit”. It has 120 members, mostly local and two-thirds of whom are ex-RAF (mostly RAF Coltishall).